Steven Solomon’s leg can’t stop shaking. It’s not a particularly uncommon habit for most teenagers, but Solomon isn’t most teenagers. After all, the 19-year-old is just minutes away from racing in the semifinal of the 400m at the 2012 Olympic Games. Solomon eases into his starting blocks on the starter’s signal, slapping his hamstrings as he prepares himself in the sixth lane. The Aussie native has every right to be tense — he’s by far the youngest athlete in his heat and is surrounded by veterans of the sport on both sides. “It’s amazing to be in a stadium filled with screaming people, but once the gun went I had no recollection of the crowd,” says Solomon, as he reflects on that exact moment. 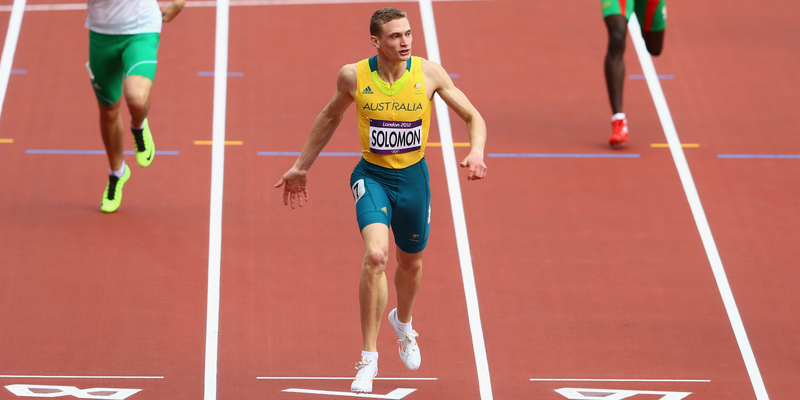 And it was one to remember, as Solomon came tearing down the final 100 meters in the race of his life, recording a personal-best 44.97 to qualify for the finals — the first Australian to do so in 24 years. At 6-foot-1, 161-pounds, Steven Solomon isn’t particularly physically imposing; his wide smile gives him a happy-to-be-here look more apt for the face of a schoolboy than an elite sprinter. And yet, Solomon is an absolute freak of an athlete. As a late bloomer, Solomon struggled to keep up with his bigger, faster and stronger peers, making it difficult for him to compete in his favorite sports of soccer and rugby at a high level. Out of nowhere, he won both titles — setting a state record in the hurdles — and qualified for the junior Australian championships in the process. A couple weeks later, he went on to win those as well. “From that point on, I was like ‘Wow, this is something that I’m good at,” he says. As I converse with Steve, I have to remind myself that he’s a three-time national champion in his home country, an NCAA title winner and an Olympian. His friendly Australian drawl has a way of making you forget that there are only a handful of people on this planet that can run a lap around a track faster than him. There’s also a theme I notice repeatedly as we talk: I ask Steve a question about track, and while he answers it thoroughly, his responses always seem to converge towards the people around him who make him who he is: his friends, family, mentors, mentees. I ask him about the best moment of his career, to date. He briefly mentions the Olympic semifinal and final — in which he placed eighth with a 45.14 time — but his dearest memory isn’t under the bright lights and in front of the 60 thousand-plus screaming fans at London’s Olympic Stadium. When I ask Steve about his training, he talks more about his coaches and teammates than the training itself. His sudden development as a teenager prompted his high school coach to put him in touch with Fira Dvoskina, a 76-year-old refugee from the Ukraine with an abundance of experience coaching athletics. A few years later, he began working with Dvoskina’s daughter, Iryna, whom he describes as the best technical coach in the world. Most surprisingly, however, is the fact that the Dvoskinas work with Paralympic athletes — Solomon is their only able-bodied disciple. Solomon’s story is incredibly unusual — in a sport in which athletes typically train with the best competition they can find in order to push themselves to the next level, he finds value in his unique training circle, which humbles him regularly. Steve and I share a moment of elation when we discover that we share a favorite athlete in Roger Federer, and it’s no surprise to me that he idolizes the Swiss maestro. Like Federer, he’s incredibly thoughtful, respectful and humble to a fault. Ask Steve what his favorite thing about Stanford is, and his answer might surprise you. “The random freshman roommate process,” he tells me earnestly. “It introduced me to my best friend, Dylan Moore.” Jaded by the standard answers involving California weather or Stanford’s pristine campus, Steve’s answer takes me aback — it’s not at all what I anticipated. Dylan and Steve were paired together in Cedro their freshman year, although their upbringings could not have been more different. Dylan grew up a short drive from Stanford in a family of artists, before deciding to pursue both undergraduate and master’s degrees in Computer Science from Stanford. He’s a senior on campus, already beginning his master’s degree, while Steve — who admits he’d never heard of CS before coming to Stanford — is halfway across the world, training for the biggest sporting event in the world. Despite their differences, the pair balance each other perfectly, indulging in each other’s wild plans and adventures. When Steve asks Dylan to come visit Australia, having planned a scuba-diving expedition, Dylan obliges, even though he’s terrified of the deep ocean; when Dylan asks Steve on a whim to run for junior class president with him, Steve’s all for it, despite already carrying the tremendous burden of being a student-athlete (their slate would go on to win the presidency). The pair hopes to reach the peak of Mount Shasta next year — they’ve already tried and failed twice, which Dylan admits won’t be well-received news by Steve’s coaches. The initial shock wore off, however, as the pair quickly became inseparable — the excitement at being reunited next year is palpable in both of their voices. Had it not been for Michael and Lucille Solomon and a little bit of luck, Steve Solomon may have never stepped foot on Stanford campus. 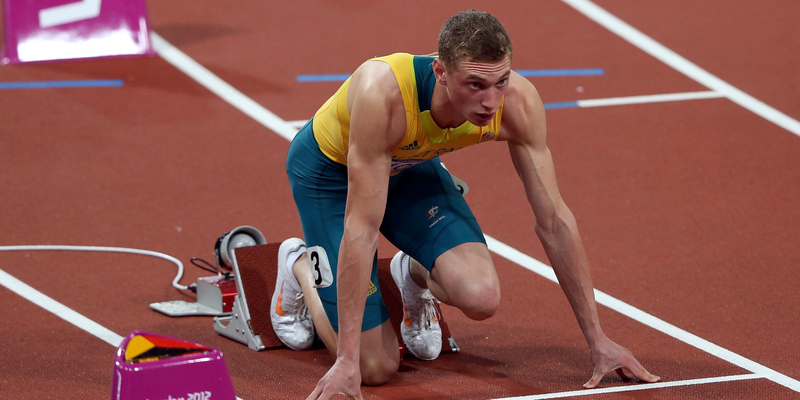 As a high-school senior in 2011, he was ready to pursue an undergraduate degree in medicine in Australia, until he realized that the Australian university system would not afford him the flexibility of taking time off to train and compete ahead of the 2012 Olympics. “It wasn’t really a mid-life crisis, given that I was only 17 at the time, but I was still pretty worried, given that everything I thought was the path I was taking seemed to lead to nowhere,” he admits. It was only when Lucille, his mother, happened to look through his bag one day after school that she discovered dozens of letters of interest from American universities. Steve signed his letter of intent without stepping foot on campus and showed up on The Farm in September of 2012. 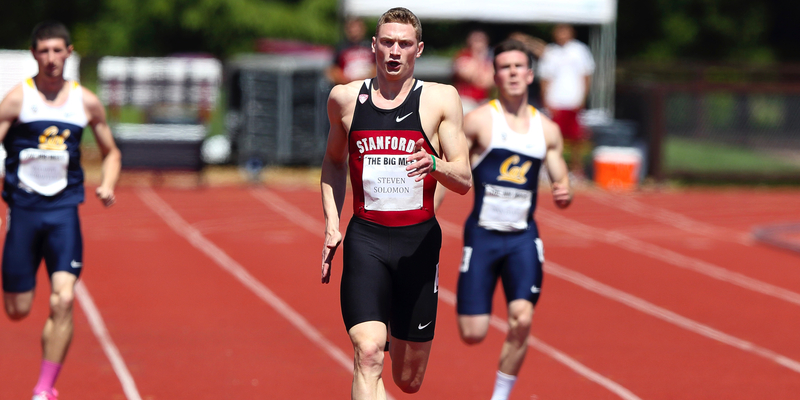 Steve’s Stanford track career has been somewhat limited — he took this entire year off from school to go home and train — but one moment sticks out from the rest: the 2014 NCAA indoor distance medley relay championship race. Having qualified for the 400 on his own, he faced a decision to make: Either run for the individual title, in which he would be entirely accountable for winning or losing, or put his trust in teammates in the DMR. Never one to put himself first, Steve chose the relay, running a scorching 45.75 400m leg to help Stanford win the title by nearly three seconds over second-place Oregon. Steve hasn’t officially qualified for the Rio Olympics yet — he missed the 45.40 cut-off by a 10th of a second in a recent race — but he still has several chances in the next few months as he prepares his body for peak form come August. After achieving his goal of reaching the final in London, Steve allowed himself to take in the moment and enjoy the experience. Having dealt with nagging injuries since then, he has had to prepare much harder and smarter in order to get his body ready. This time, his own expectations will be set much higher. An Aussie man hasn’t won a gold medal in a running event in 48 years. As sports like rugby, cricket and tennis continue to dominate the Australian sports scene, Steve is part of a small, elite group that seeks to keep the nation relevant in the sprinting world. I’m curious as to why Steve loves the 400 so much — it seems like a grueling race, long enough to require a high level of stamina and endurance, yet short enough to still be a flat-out sprint. When I ask him about it, it’s the first time during our conversation I hear his voice take a more serious tone. “I love the 400 because it’s not a soft man’s race. To run the 400 you know you’re going to go into pain and you’re going to put your body through a lot of unpleasant things,” he says matter-of-factly. In that brief moment, 400-meter Olympian Steve Solomon switches on, and he’s sure as hell not someone I’d want to mess with on a running track. Track and field is a fascinating sport. It boils athleticism down to the most simple physical tasks: Who can run the fastest, jump the highest, throw the furthest. And yet, it struggles to stay relevant in today’s social media age, when slam dunks and big hits are prioritized over pole vaults and hurdles. Track and field — at least in the US — has become a sport where only the brashest and fastest short sprinters are likely to receive any media attention. Ask the average Joe to name a track athlete apart from Usain Bolt, Tyson Gay or Lolo Jones, and you’re likely to come up empty-handed. His thoughts wander past track and field, to life after the starting blocks and finish lines. Steve went on an aid trip to Tonga when he was 15 with his dad, who is an orthopedic surgeon. He describes how the instant he scrubbed into his father’s operations, he knew what he wanted to do for the rest of his life. 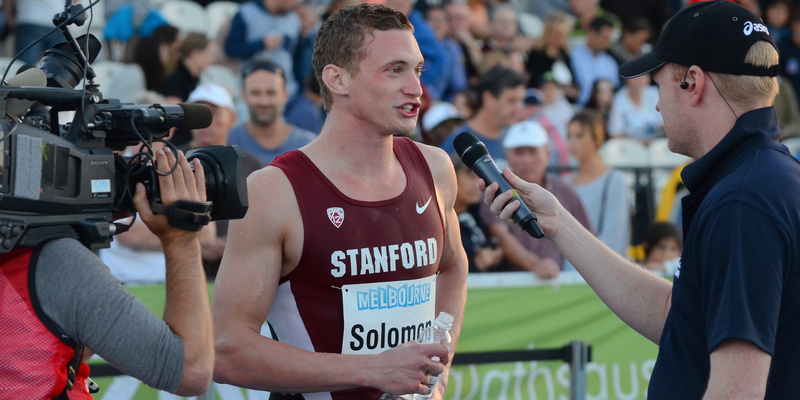 As a human biology major at Stanford, he intends to go to medical school after he calls it quits on his track career. “I’ve really enjoyed the detour that sports has taken me on, but I’m also very much looking forward to my dream of becoming a doctor and helping my community,” he says. 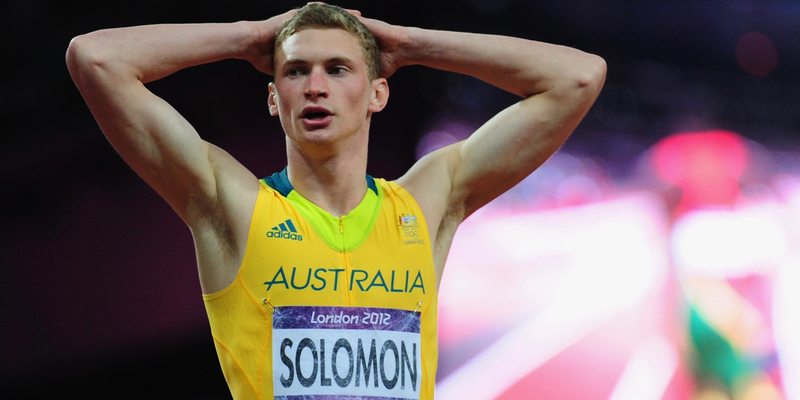 For though Rio looms large ahead, Solomon’s course extends far beyond the finish line. Click here for more stories from our Road to Rio Olympic coverage.